Last week, I just knew something was up… first there were those photos on Dad’s iBone. 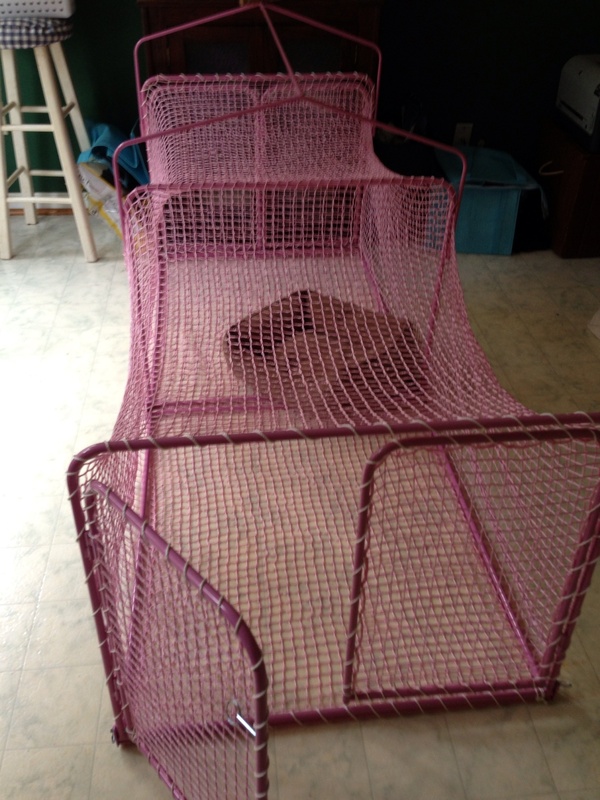 Then this super large pink enclosure appeared in the kitchen, with all these new “baby toys” and a baby bed in it. Luckily, my cousins Romeo, Dexter, and Fritz (@AvalonChihuahuas) came to visit Friday and Saturday and we had a blast chasing squirrels in the backyard—for a little guy, that Fritz sure can jump high. Straight up in the air—thought he was going to go right over our eight foot fence! So I forgot about that pink thing in the kitchen. All dudes in my house, and as you know Dudes Don’t Do Pink. Then came Sunday. Went for a ride in the car. Love to go in cars, ’cause most times I end up someplace cool like the park or the beach. Sunday we visited the lady who grooms me and always has bunches of fun Westies who play with me. I like going there. Don’t even mind the b-a-t-h. This time, something was off. I did not go behind the gate to the back where the puppies and visiting dogs hang out. 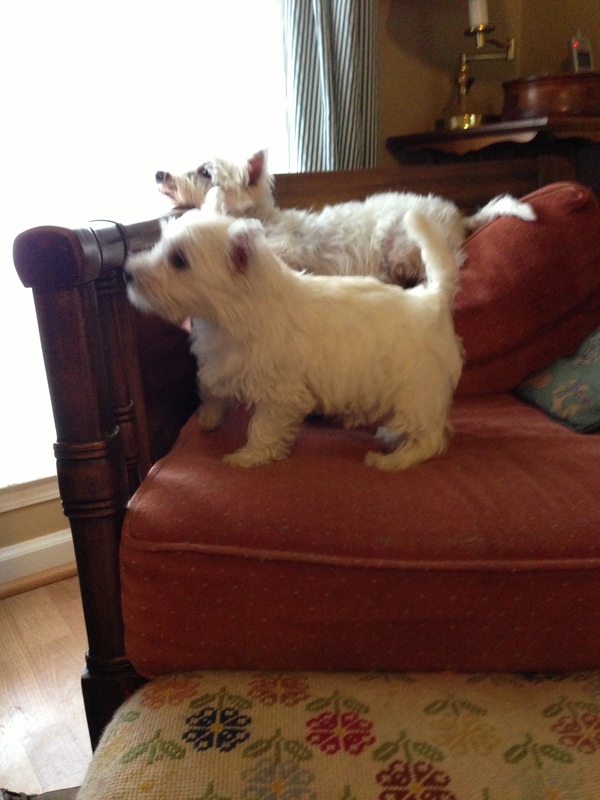 Mom was busy talking and filling out some papers, so Dad and I watched some little Westie pups play in the courtyard. They were pretty cool dudes. Then, Mom comes out carrying one of the puppies. She was kinda cute—for a girl pup. My ears perked up when I saw the puppy coming with us to the car. Was she coming to visit cousins Romeo, Dexter, and Fritz? Well, surprise on this dude! When we got home, my buds had already headed to their house. It was just me…and this new little girl pup. Suddenly the pink thing in the kitchen made sense. The pup was coming to stay. Share my home with a girl? Nothing good can come from this situation. Believe me. Her name in Mackenzie and already she thinks I’m her mother. Follows me everywhere. Tries to cuddle. In general, a regular Pesty Westie. Danica…excuse me, Mackenzie, already sharing MY chair. Lobbied to change her name to Danica. Now, that’s non-girly. Green firesuit even better! And an appearance on a GoDaddy commercial. Now that has possibilities. So far, no traction on that suggestion. 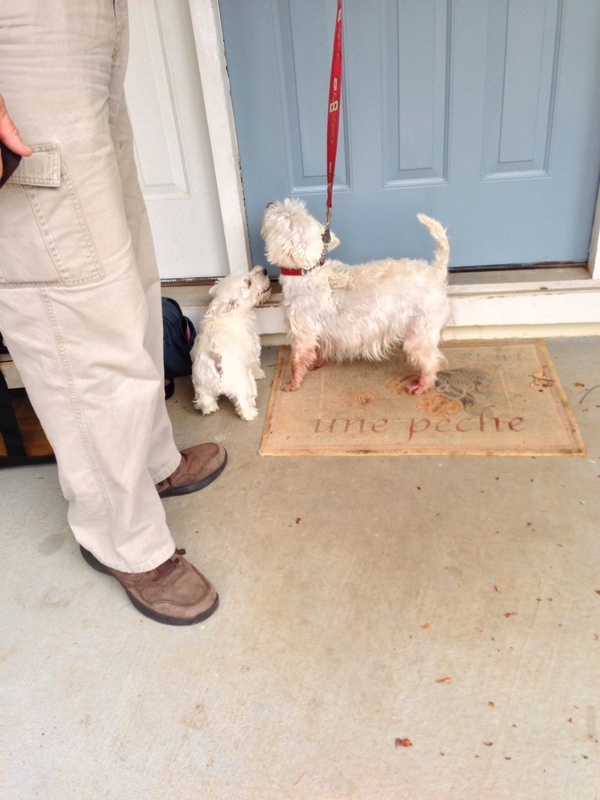 But, you know stubborn is this Westie’s middle name. This entry was posted in Random Thoughts, Uncategorized and tagged Dexter, Dog, Friday, Go Daddy, GoDaddy, New puppy, Puppy, Sunday, Westie. Bookmark the permalink. Ah, you’re going to love having a shadow before long. Mackenzie will make you feel as important as you actually are. You’re a big brother now. Hmmmm…. Will have to see about THAT!! BOL! WestieWave! Dear Snowy, I’m so happy about the new pup girl, woohoo! We must throw a party for her at ClubHouse, woof-Woof! ooohhhh she is a cutie pie that Mckenzie! Finnegan (the evil kitten) thinks I Abigail is his big sis play too and follows her around everywhere too. You have to admit, it must be nice to be that admired by such a cute furbaby.